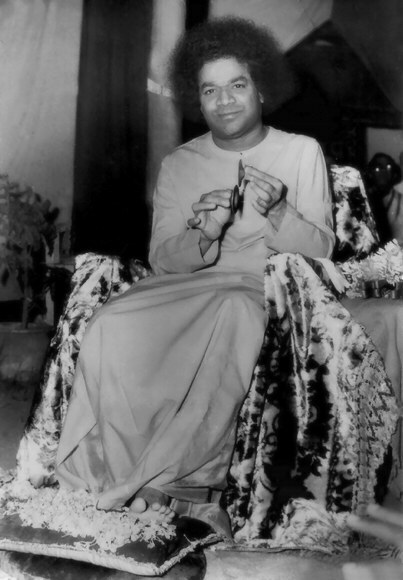 Bhajans sung by Bhagavan Sri Stahya Sai Baba. Sanskrit version, English translation, correct pronunciation of the words of the bhajan, voice alone singing the tune of the bhajan, full version of the bhajan with all the accompaniments as it was sung before Bhagawan. Sanskrit bhajans and devotional songs in English and other languages transcribed to Western-style sheet music, with tunes, chords, text. In Prashanthi Nilayam, one can purchase a CD containing the texts of devotional songs (bhajans) in Sanskrit, English, and other languages. The Sanskrit bhajans are now available. English devotional songs will be forthcoming soon. Bhajan/Kirtan book containing over 300 bhajans alphabetically ordered. A Bhajan or kirtan is a Hindu devotional song, often of ancient origin. Great importance is attributed to the singing of bhajans with Bhakti, i.e. loving devotion. “Rasanam Lakshanam Bhajanam” means the act by which we feel closer to either our true self (see jiva, atman), or to God (see Brahman & Ishvara). Acts which are performed for the purpose of pleasing God are also sometimes called bhajan. Kirtans are deeply rooted in Vedic tradition. Bhajans are often simple songs in lyrical language expressing emotions of love for the Divine, whether for a single God/Goddess, or any number of divinities. Many bhajans feature several names and aspects of the chosen deity, especially in the case of Hindu sahasranamas, which list a divinity’s 1008 names. Traditionally, the music has been Indian classical music, which is based on ragas and tala (rhythmic beat patterns) played on the Veena (or Been), Sarangi Venu (flute), Mridanga, Dholak (or Tabla); all traditional Indian instruments. The Sikh Scripture contains 31 ragas and 17 talas which form the basis for kirtan music compositions.